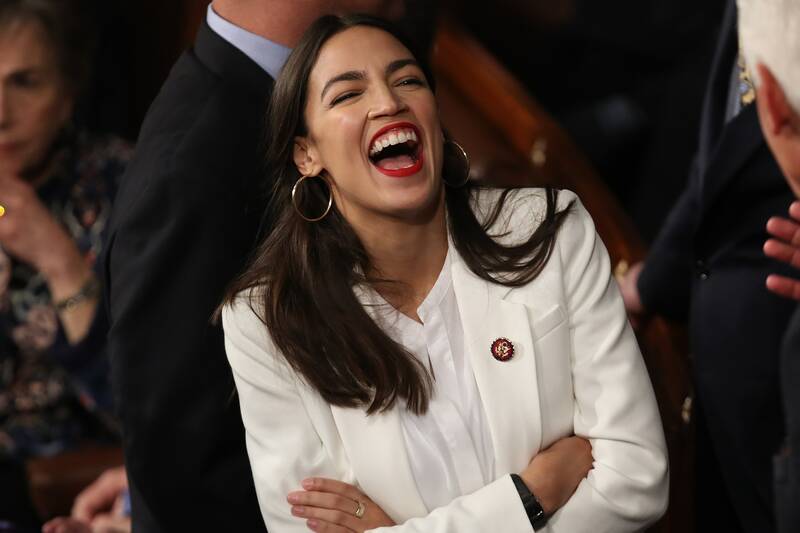 If you’ve been plugged into literally any news outlet or social media over the past couple months, the chances are good that you’ve heard the letters AOC. Alexandria Ocasio-Cortez was elected to the US House of Representatives in the 2018 election, and we have been so on board with everything that’s happened since. 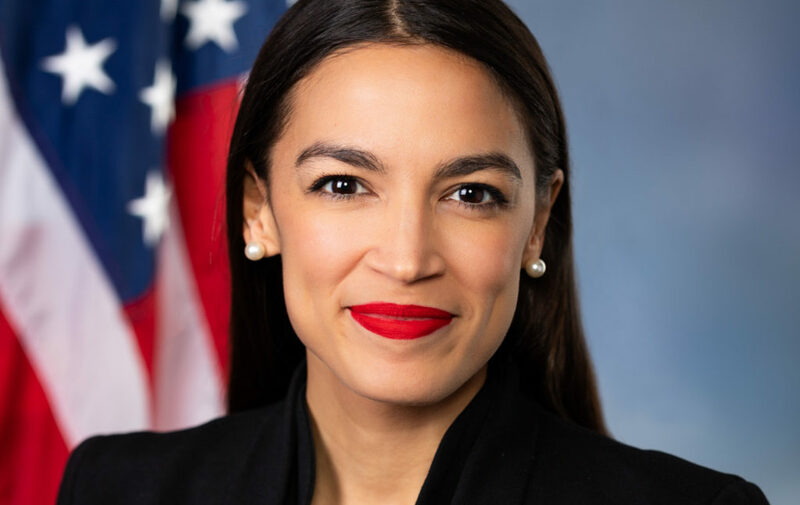 After defeating a 10-term incumbent, AOC, the youngest female to ever serve in Congress, has not been afraid to speak her mind and bring a little bit of much-needed excitement to the US politics fashion game. From sporting what we’d call her signature red lipstick, to flaunting the gold hoops at her inauguration, she’s kiiiiind of becoming a fashion icon, don’t you think? Seriously, just look how fierce she is in this photo. It’s no wonder so many women in this country are looking up to Ocasio-Cortez. Not only does she have a fresh take on politics while working the red lip, she’s doing it with seemingly flawless skin. Um, excuse us, how? We get a breakout if our inbox gets too full. We can’t even imagine what the stress of political opponents critiquing our every move would do. Turns out we’re not the only ones who were wondering how she keeps that gorgeous glow. AOC took to her Insta story to answer some questions, and not all of them were political. Shortly into the Q&A, she’s asked about her makeup and skincare routines. Lucky for us, she gives the full details. A couple of her keys that stood out to us? Daily sunscreen and cutting out dairy. We all know the importance of protecting our skin from UVs, and now we’ve even got AOC telling us. We know it may be hard, because who doesn’t love cheese, but cutting out dairy makes sense! There are theories out there in publications from Vogueto Healthline that certain dairy products can trigger breakouts. As far as her daily makeup, AOC stresses the importance of double cleansing, even when keeping the makeup simple like she does. Like the rest of us, she confesses to being guilty of occasionally sleeping with her makeup on, but notes that we all have to “let our faces breathe!” Our pores are getting clogged naturally every day as it is, so anything we’re adding to the mix is only making it worse. We know, we know, you all already know this! Check out the pictures below for Alexandria Ocasio-Cortez’s full breakdown of her routines. It’s a dilemma that every stylist will face at some point in her lifetime: give those tresses the boot or keep ‘em long?